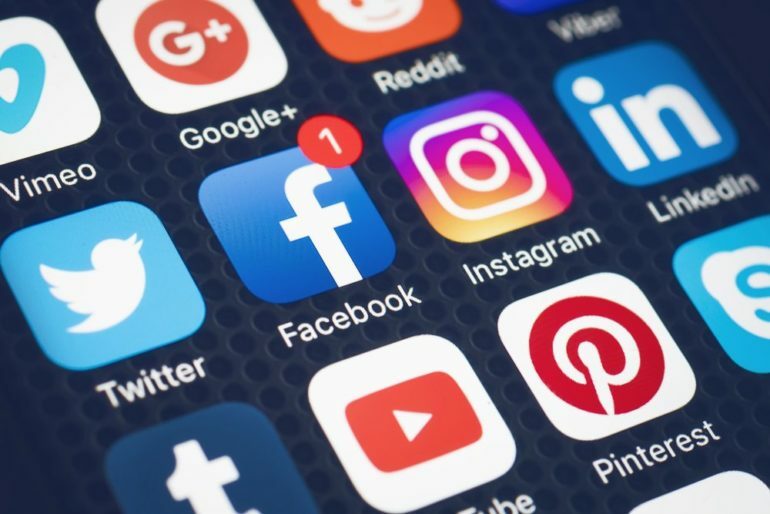 Your company’s social media presence is crucial – it adds to a company’s personality and its ability to connect with target audiences. You simply cannot ignore or underestimate its power. The volume of social media users continues to grow year after year; in 2018, social media users reached 2.5 billion. Today, there is a large variety of social platforms to choose from, each with its own abilities. It is important to discover the right platforms for your business and leverage them correctly. Having a strong social media presence can help your business in several ways but the most important is that it acts as multiple gateways to a business’ website, creating an external linking structure and more opportunities to appear in search results. Below are the top five ways to grow a social media following and increase online presence. When it comes to optimising your social media platforms – think quality over quantity. That means committing to specific platforms, dedicating a budget and allocating time to leverage the platforms properly. It is better to post two-three a week on one platform, than once a month, or sporadically on multiple platforms. You will see greater benefits when fully committing to one rather than half-heartedly posting to multiple sites. Without a clear brand identity across all platforms, your company’s message may get confusing. Additionally, you want this same brand identity to come through in all of your social posts. Your brand should clearly come through, making it clear the assets and concepts represent your company. Keeping your target audience in mind when creating content for social media platforms is a necessity; after all, that is who you are making the content for. Ask yourself: ‘Would this be something my customer would like? If the answer is no, go back to the drawing board. Always have the mindset of your target audience, their interests and which platform they use, when writing your content. Showcase your expertise. Provide information and resources that appeal to your target audience. This could be promoting the latest blog post your business has written, sharing industry-related articles, or giving quick tips in the form of posts. Highlight certain aspects of your business’ website, such as services or products. Use social media to promote new products/services, email newsletter sign-ups, giveaways or promotional codes. Use engaging content that is industry-related. Memes, GIFs, or videos can all make for fun posts that will entertain your audience, as well as boosting brand awareness and engagement. These posts become more tailored to the everyday work life at your company. Company updates or events, new additions to your staff, or company outings can be fun for your target audience to see. Behind the scenes peeks always work well too! Encourage participation, conversations or comments through giveaways, polls and requests for opinions. These posts are written specifically to engage with your followers. Consistency is the reason your audience follows and stays engaged with your content. Because they have decided to follow your profile, they genuinely want to see what you have to share in their daily feed. Small Business Advice is a free and confidential advice service offered by Ireland’s business community to help businesses grow. 1,250 small businesses have benefited from the Small Business Advice Programme.